The appeal of Lost is based around great production, an improbable cast and super complicated plot lines. Confusion and guessing is all part of the fun and massive viral activity builds loyalty with fans. Secret websites, codes and hidden messages extend the Lost brand very effectively and create significant buzz and free PR. From day one Lost has had accompanying online activity. Websites aim to expand plot lines and create greater engagement with Lost, especially in the off-season. 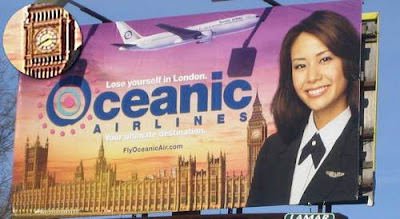 For Lost Series One a fictitious website for the airline, Oceanic Air, was created at www.oceanic-air.com . The website looked like a standard travel portal (ability to book flights etc), but also had appeals for information on survivors and more recently statements about the airlines financial position. Online has also brought to life some of the random companies and organisations featured in the programme. The Dharma initiative, the Hanso corporation (http://www.thehansofoundation.org/) and the Maxwell Group (http://www.the-maxwell-group.com/) are all featured in mini-websites and secret pages online. Online is also used virally to expand these using sites like www.hansocareers.com . www.Find815.com is the latest viral site and features video teasers, a virtual desk (where you can check voicemail messages and emails) and a Lost diary. References in this site are built out into other websites that can be found on the internet - eg www.Baliholidayfun.com and answermyquestions.org. ABC have used online to integrate advertisers into the show more effectively, - Sprite linked through sublymonal.com and letyourcompassguideyou.com featured material that showed that Jeep was a key supplier for the Dharma Initiative. Other shows like Heroes have subtly expanded certain elements with use of online (eg Primatech paper company here - http://www.nickburcher.com/2007/10/primatech-paper-company-from-heroes.html), but no show has ever gone as far as Lost! Whilst there are a large number of official sites surrounding Lost, there are even more unofficial Lost sites and Lost discussion forums. Blogs are particularly prevalent and www.Find815.blogspot.com is a major unofficial hub of rumour and discussion. Whilst ABC have an official ‘Lost Experience’ website (www.insidetheexperience.com), the volume of comment and contribution at Find815.blogspot.com is a great example of how 'amateur' content in the blogosphere can extend a brand more effectively than some official efforts! Viral activity for Lost Series 4 is running on outdoor as well as online. Posters for Oceanic Air have appeared in each of the characters hometowns. 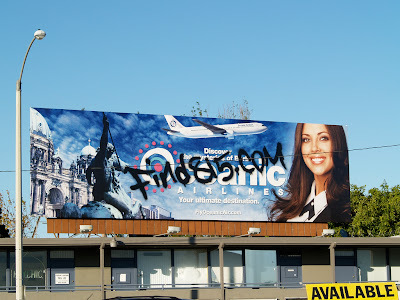 UGC channels online have also effectively amplified a small outdoor spend as people have uploaded photos of the billboards to sites like Flickr and blogs. Late night US TV show Jimmy Kimmel Live saw 'Hugh McIntyre, a spokesman for the Hanso Foundation' interviewed. A large number of viewers would not have heard of him previously, but fans of Lost recognised Mr.McIntyre as the founder of the Dharma Initiative - a strange organization at the centre of the Lost plot. A serious interview then followed with the Hanso representative staying in character and Jimmy Kimmel asking serious questions throughout. This random interview sent online forums and Lost blogs into a frenzy of speculation and debate. 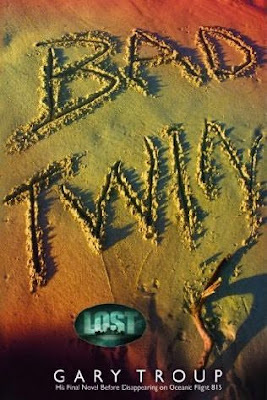 Lost produced a tie-in novel called 'Bad Twin'. The book has references to the Hanso Foundation and also refers to minor characters from Lost. The fictional author, Gary Troup was ‘Lost’ with Flight 815, but the book was published in real life as a bona fide novel and various reviews can be seen on Amazon. Interested to see what Lost do next! Thanks for the article - I'm currently using http://www.lostcommunity.co.uk to get my lost fix and so i can understand we you're coming from with regards to Lost's viral mareting approach and how fan comunities also help.